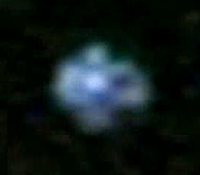 Latest UFO sightings – Bright flashing light over Pacific ocean was recorded in Huntington Beach, California on Tuesday, 6th April 2010.
intersted with naked eye, amazed thru scope, impressed with vid. LUS 2010 production – most recent UFO sighting reports and evidences. Real UFOs cases on net. Alien stars, extraterrestrials home, forum debate 2012.